So here it is - my third installment of my recent MAC Sharon Osbourne Collection haul. This was a collection that I was really drawn to because the products are just so pretty! As you will know from my previous posts, I really indulged myself with the beautiful Duchess Eye Shadow Quad (review HERE) and the Patentpolish Lip Pencils (review HERE). 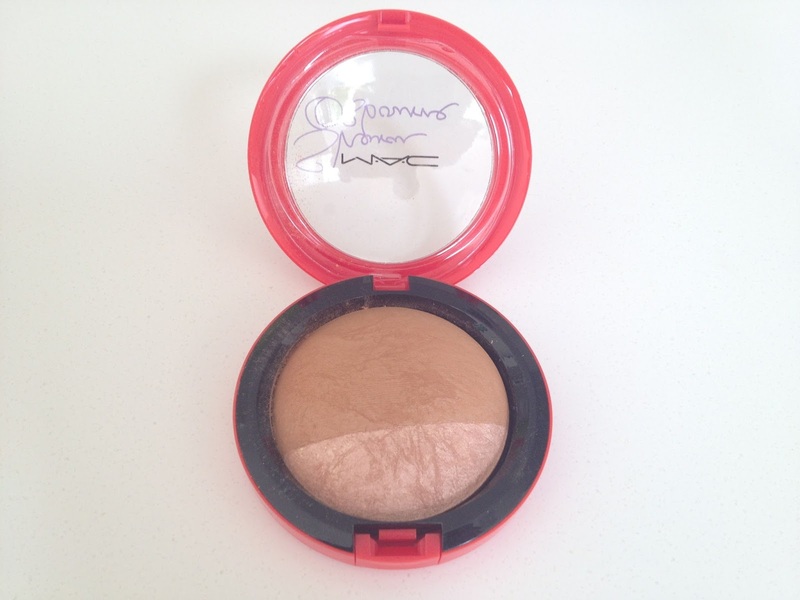 But this week's MAC Monday post is dedicated to the MAC Sharon Osbourne Mineralize Skinfinish in Refresh. Normally I'm not fanatical about bronzers, highlighters and blushes. I will buy them if I think I need the shade but I don't have the same irrational need that comes into play when I am choosing lipsticks (where I need ALL of the lipsticks in the same shades...). 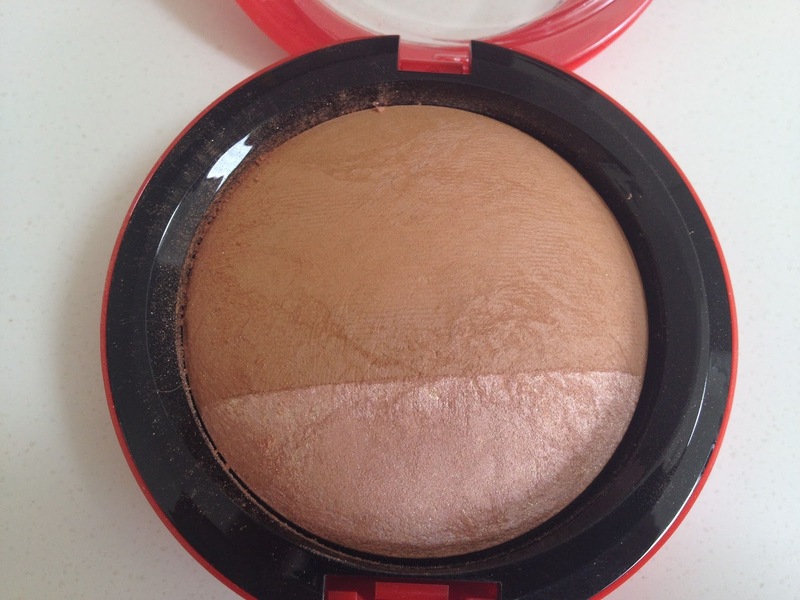 I chose the Sharon Osbourne Mineralize Skinfinish in Refresh because I liked the idea of a bronzer and a highlight in the same pan. I will admit that a certain element of shopping frenzy came into play when I ordered, as the collection had literally just gone live online and I didn't want to miss out! Like the rest of the Sharon Osbourne Collection, the packaging is red instead of the standard MAC black. The clear plastic lid also has Sharon Osbourne's signature across it in lilac. The lid clicks shut so I would be confident that the packaging is sturdy enough to protect the product if you kept it in a make up bag or a handbag. In the pan there are two different shades within the product. There is a warm light brown matte bronzer and a rose-gold, pinky shimmery highlight. I will admit that I wasn't entirely sure how to use this when I first got it. The only other MAC Mineralize Skinfinish that I have is Stereo Rose (review HERE) which I picked up in the recent Fantasy of Flowers Collection. I use Stereo Rose as a shimmery blusher (although darker skin tones could use it as all over face shimmer), but Refresh is best used as a bronzer and a highlighter. You can use the bronzer as a contour although it may not be quite dark enough for everyone. The girl in the MAC store I visited last weekend told me that the highlighter is similar to the Soft and Gentle Mineralize Skinfinish, although I have never tried that one so I can't comment. You can see the two shades in the swatch above. Of the two my favourite is definitely the highlight, although having the two together is useful, if a bit fiddly to swirl my large blush brush in without picking up the other colour! I found it easier to use an angled blush brush to get to the highlight and then use it along my cheekbones. I then used the bronzer in the hollows of my cheeks as bit of a contour and in all the usual bronzer spots. I am pleased that I bought this as I don't have anything exactly like it, so it was a good practical purchase! 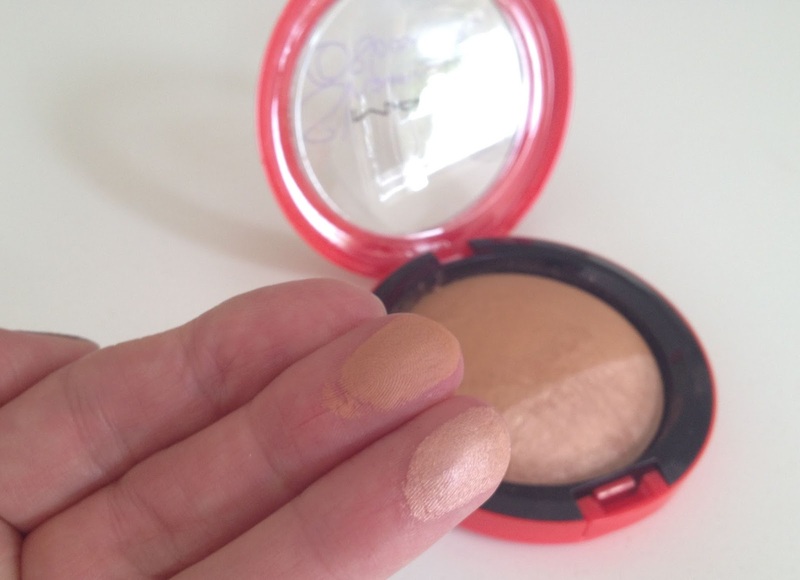 If you have many bronzers and highlighters that you love then perhaps you don't need this. But then it is rarely about actual 'need' is it...? 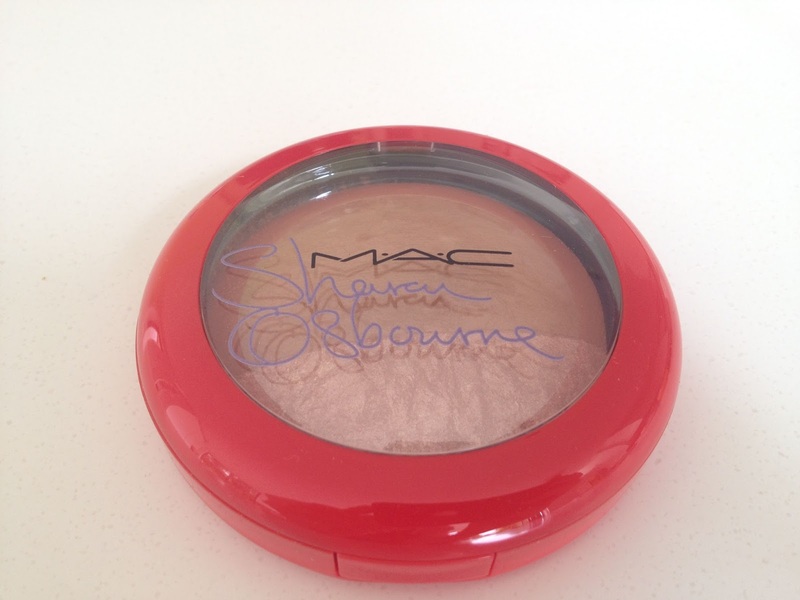 The MAC Sharon Osbourne Mineralize Skinfinish in Refresh is £24 HERE. Right now it is showing as still in stock, but as with all limited edition collections, if you want it - get it fast! Have you tried any of the MAC Osbournes collection? Don't forget to check out my other MAC Monday posts HERE! You can also hop over to Swatch and Review to see what Julie has chosen for her MAC Monday post this week. I agree the Kelly Osbourne one looked more suited to really fair skin. Glad you like it, I'm pleased with it too!